Insurance Times has launched the annual Broker Service Survey – now in its 12th year. Brokers up and down the country are keen to reveal which insurers provide the best service levels, and which areas need improvement. Brokers are using the Insurance Times Broker Service Survey to say what they think about the service levels provided to them by their insurer partners over the last 12 months. Some brokers have already told us that service levels are improving, but that investment is continually needed to adapt and keep up with changing expectations. Pivotal to broker success is choosing the best possible insurer for the cover required. While many brokers are happy with their insurer partners, some may be looking to change insurer soon. • Taking direct action to address brokers’ concerns on service levels. • Investing in popular features, products and services - due to high broker demand. • Responding to anonymous feedback from brokers. Year-on-year, brokers have shown themselves increasingly ready to switch insurance partners, basing their decisions on the quality of service the insurers provide. With growing pressure on insurers to maintain broker relationships, it is ever more important for insurers to score highly in the Broker Service Survey. 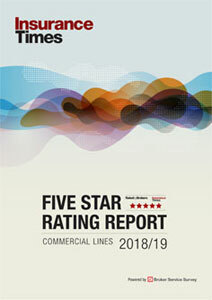 The Insurance Times Broker Service Survey for commercial lines and personal lines is now open for submissions from brokers. We welcome brokers from across the UK to come forward to spotlight areas of concern and highlight those insurers who have responded vigorously and successfully to broker expectations over the last 12 months. Brokers – make your voice heard in the 2017 Insurance Times Broker Service Survey. Visit the Insurance Times survey hub to find out more and rate your insurer partners. Chartered insurers: still rated best by brokers? 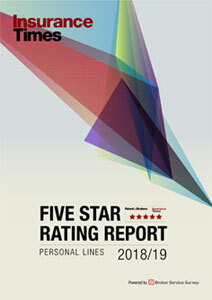 Chartered insurance firms outscored non-Chartered rivals in top-rated service dimensions across both personal and commercial lines in last year’s Broker Service Survey. How well will they fare this year?